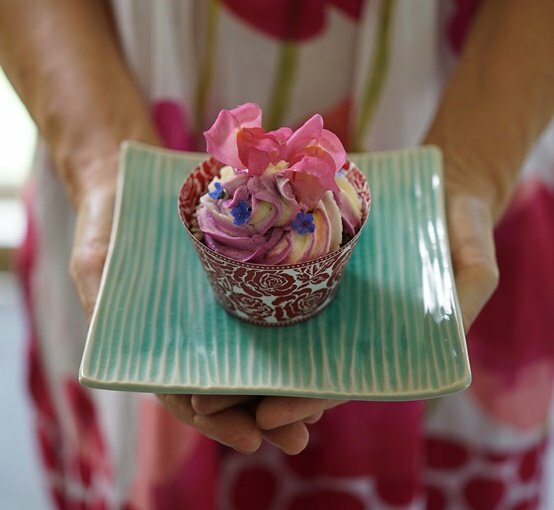 Should we really be eating the flowers sprinkled over our restaurant meals and café cakes? My aim is to convert everyone into a flower foodista. I’d love you to eat flowers for their eye-catching beauty and because they can be wonderfully tasty and even nutritious. 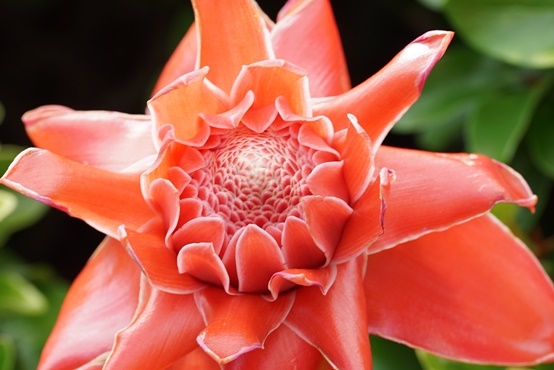 Among the most delicious flowers are the Torch Ginger with their mild, crisp, ginger flavour. These are used in salads for their crisp and flavourful characteristics. Violets taste like the scent of their perfume and have been included into many liqueurs and cocktails. Society Garlic flowers are being rediscovered for their mild hint of garlic which is perfect for savoury dishes. 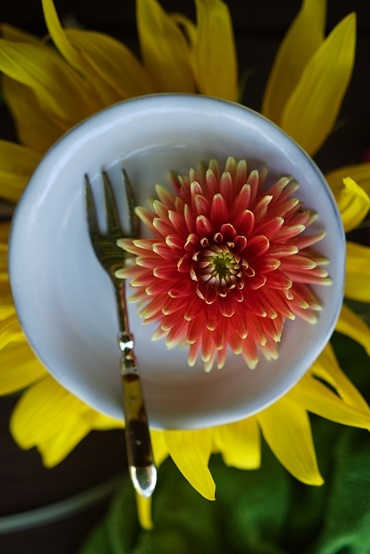 Flowers do provide some nutrition, although we usually don’t eat large amounts at any meal. While flowers are low in kilojoules, the colourful petals provide small amounts of phytonutrients, flavonoids and antioxidants. Antioxidants are responsible for helping to reduce oxidative stress in the body. Colourful petals may contribute to healthy levels of antioxidants such as lycopene in red pigments which benefit prostate health. Eye health is linked to carotenoids and luteins. Orange and yellow luteins and carotenoids are found in carrots, but also in yellow petals like calendula. 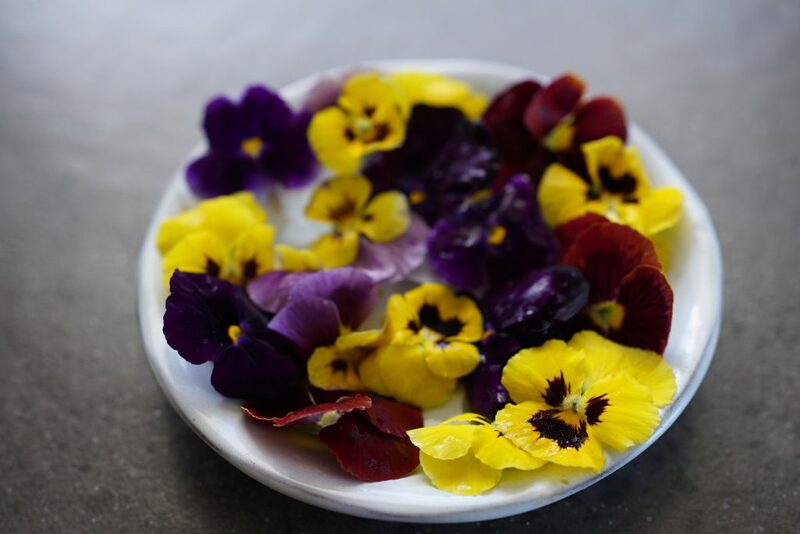 Anthocyanins from blue or purple vegetables and edible flowers, act to protect cells from damage. Nutrition Australia reports anthocyanins can ‘help reduce the risk of cancer, stroke and heart disease’. Folk remedies using edible flowers have been in use for hundreds of years. Chamomile tea made from German Chamomile is an accepted relaxant beverage and hops are used for a nightcap when made into tea, not to mention their popularity in beer! Calendula petals make a lovely skin application for dry skin when infused for a couple of weeks in an oil such as Sweet Almond Oil. However, the rise of flower power on decorated cakes and dishes on social media pages can be alarming. I see daily, hellebores, daffodils, agapanthus, hydrangeas and other poisonous blooms gracing beautiful wedding cakes and more. The problem is, these are quite poisonous, and will make the consumer rather ill, and may even cause death. It’s dangerous to cook or decorate with just any flower, no matter how sweet the perfume or how glorious the bloom. The message here is, to identify your flowers correctly and avoid poisonous flowers on food at all costs. It’s also important that the flowers you eat are not grown using chemical fertilisers, pesticides or fungicides. That effectively rules out most florist’s bunches and many of the pots of flowers from the nursery.